Did you know that an average of two gallons of household paint is sold for each person in the United States each year? OFTEN THIS PAINT IS DISPOSED OF IMPROPERLY, WHICH IN TURN CAN HARM THE ENVIRONMENT. There are several ways to manage leftover paint in Union County that are environmentally safe. THE FOLLOWING STEPS SHOULD HELP YOU. First, always buy only the paint you need. That way, you reduce the chance of having any paint leftover in the first place. It’s the same idea behind reusing leftover grocery bags, or eliminating excess packaging. 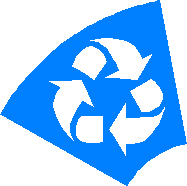 When you avoid creating the waste at the start, you are practicing “source reduction.” It’s a smart way to help the environment. When stored properly, paint can last for years. Just cover the opening with plastic wrap and replace the lid; make sure the lid fits securely so the paint doesn’t leak. Then, and here’s the important step: store the paint can upside down. The paint will create a tight seal around the lid, keeping the paint fresh until you need it again. Now that you know how to keep your leftover paint fresh for years, don’t forget about it. Use it up! If you can’t use your leftover paint, donate it to community groups, theater groups, schools, churches and others who need or want it. You may even be able to take a tax deduction. Another good way to get rid of unwanted paint is to participate in or organize a neighbor-to-neighbor or community-wide paint exchange/paint swap. Once you have used up your paint, find out if your municipality recycles empty steel cans by contacting your local municipal recycling coordinator. If your municipality does not recycle empty steel cans, the cans can be disposed of in your normal household trash after the paint has dried. Everyone should be able to save, use up or donate or exchange leftover paint. If as a last resort you need to dispose of your leftover paint, make sure you do it properly. 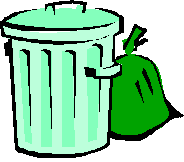 Latex paint is not accepted at Household Special Waste Days. If the latex paint has already solidified in a closed can you can dispose of it in your normal trash, if the paint is still a liquid you will need to dry the paint. Let your leftover latex paint air dry away from children or pets. One method to quicken the drying is to add an absorbent material such as speedy dry, cat litter or shredded newspaper. Once the latex paint has dried it is safe to dispose of in your normal trash. 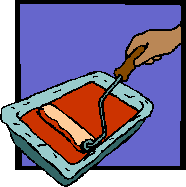 Leftover oil based paint should be disposed of at a Household Special Waste Disposal Day. These events, which are sponsored by Union County, are held several times a year.